This article is about the french tennis tournament Open de Moselle which is an ATP World Tour 250 Series tournament. Here is given the history of this tournament, structure of the tournament, winners and prize money of the tournament. 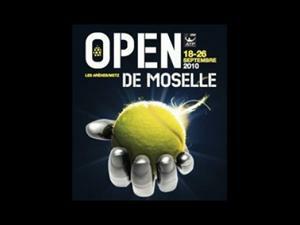 Open de Moselle is a professional Tennis tournament. It is a ATP World Tour 250 Series tournament played in the Metz city of France on Indoor Hard Courts of the Arenes de Metz, which is the Venue of this tournament 2003. The tournament was started in 1980, where it was the part of Grand Prix Tennis Circuit till 1989. After the 14 years of gap the tournament was restarted in 2003 as ATP International Series. In 2009, it was included in the ATP World Tour 250 Series of the ATP World Tour. A total of 16 players participates in the Main Draw in the Men's Singles and Doubles events of the tournament. The Prize money for this French Tournament is 450,000 (in Euros).